Update on Monday 1/28/2019 1:10 p.m.: The outbreak now includes 35 confirmed cases and 11 suspected ones. The majority of cases continue to be in children, with 25 cases between 1 and 10 years old, nine between 11 and 18 years old and one adult younger than 29. A total of 31 people infected were not vaccinated. One person has been hospitalized. Check the Clark County webpage for more places of possible exposure. Update on Saturday 1/26/2019 1:08 p.m.: As expected, the measles outbreak has moved across the Columbia River to Multnomah County. The health department announced that one person was infected. Officials did not immediately respond to questions about whether that person was vaccinated and what the age range was. The measles vaccine is highly effective, preventing 97 percent of cases after two shots. 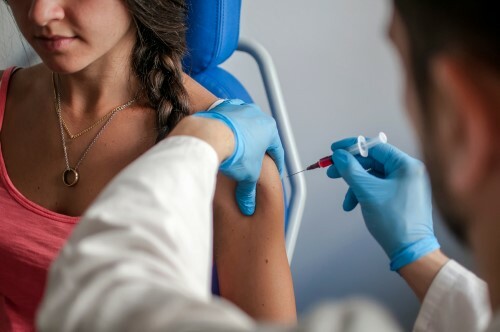 People who are not vaccinated or those born before vaccination was commonplace in the late 1950s risk contracting the potentially deadly disease. Also, check a list of sites where others could have become infected. Update on Friday 1/25/2019 10:30 a.m.: Washington Gov. Jay Inslee declared a state of emergency in the state, which allows state agencies and departments to use extra resources to fight the outbreak which has spread to King County, where there's one case. In Clark County, the health department said there were now 30 confirmed cases and nine suspect cases. Health officials have not been able to verify the vaccination status of four individuals but 26 were not inoculated against the measles. Twenty-one cases are in children between 1 and 10 years old and eight are 11 to 18 years old. One person is between 19 to 29. Update on Monday 1/21/2018 5:30 p.m.: Health officials said that children and adults in four schools within the Evergreen Public School District are at risk of becoming infected if they've not been immunized. Students and staff are required to have proof of immunization or immunity to attend school. The Clark County Health Department also asked that anyone exposed to an infected individual to stay away from any school performance or event, including all sports matches, meets and games, unless they have proof of immunization or immunity. This restriction will stay in place at Evergreen High School, Hearthwood and Image Elementary Schools until Jan. 30, and Orchards Elementary School until Feb 5. Health officials in Clark County are grappling with a measles outbreak that's prompted the county's chair to declare a public health emergency and Portland officials to warn of the outbreak spreading across the river. On Monday, Clark County said the outbreak included 22 confirmed cases and three suspected illnesses. That followed Friday's announcement by Council Chair Eileen Quiring, who declared the outbreak a public health emergency. That declaration allows the county to pull in more resources to stem the illnesses. Starting Tuesday, automated calls will go out to everyone who's been identified as being at risk. The calls will go out at 10:30 a.m. from the call center, 360-397-8021, and those who are not reached will be called again at 1 p.m. The calls will gather information, such as about any potential symptoms, to help public health officials identify new cases sooner. The outbreak has not yet spread to Portland but it could. Oregon officials warned that an infected person attended a Portland Trail Blazers basketball game at the Moda Center in Portland on Jan. 11. Those in the building between 5:30 and 11:30 p.m could have been exposed. The outbreak mostly involves children: 17 cases involved kids 1 to 10 years old and four cases were teens 11 to 18 years old. One person was between 19 and 29 years old. One child remains hospitalized. None of the children - except three cases which have not been verified - was vaccinated. The first case was announced Jan. 4 involving a child who was infected with measles abroad. A child in Oregon was also diagnosed with measles at the same time but the two cases were not connected. Dr. Alan Melnick, health officer for Clark County, said the case count could grow. Health officials have set up a webpage to inform the public as the case count rises. The disease is spread through droplets which can remain infectious two hours in the environment. That means you can go into a room two hours after an infected person has been in it and become infected if you’re not immunized. Many more people could have been exposed. The health department warned the public that those infected have been in many places in the community. Check their webpage for details. The measles vaccine is highly effective. Health officials urge everyone who’s not been immunized to be vaccinated. The disease has a high death rate, killing three people per thousand. It also has a high hospitalization rate. Before the vaccine became commonplace in the 1960s, 48,000 people a year were hospitalized with measles and 4,000 suffered encephalitis, swelling of the brain. Melnick said 400 to 500 people died. Yet during that time, the person can infect others. Have a tip about public health or any other related topic? Contact Lynne Terry at [email protected]; 503-349-2765.